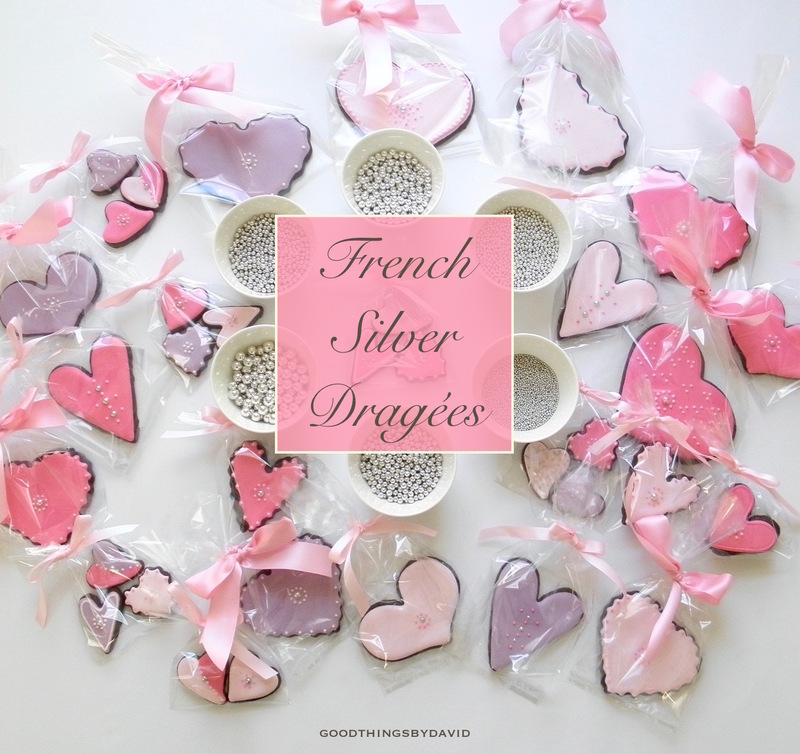 French silver dragées add plenty of elegance to everything they decorate. These diminutive candies give desserts, cookies and pastries a certain je ne sais quoi when used in unexpected ways. 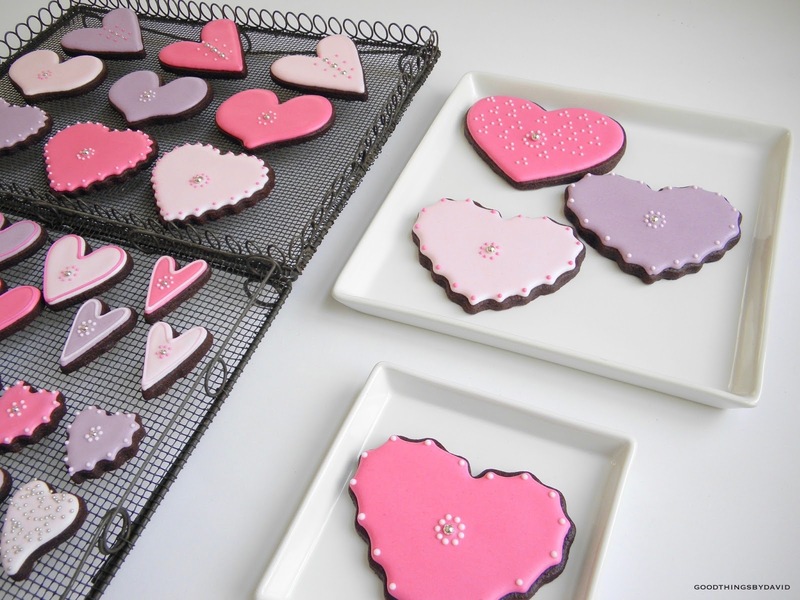 I often think of them as my go-to embellishment whenever I want to make my cookies or cakes look extra special for loved ones. 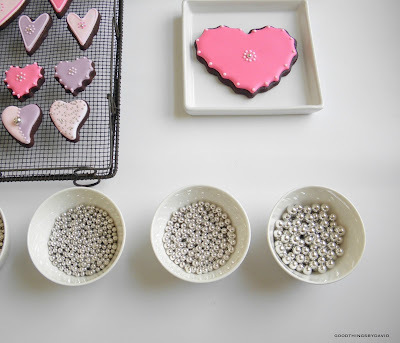 The candy accents can be found at any well-supplied cake decorating store and at many online sites. 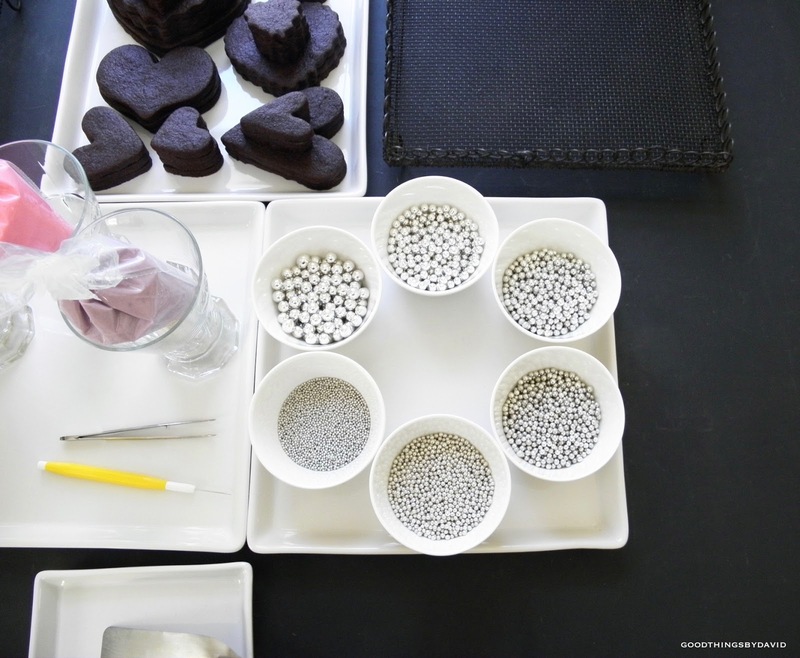 You will find that these candies come in an array of colors, with silver being the predominant coloration. 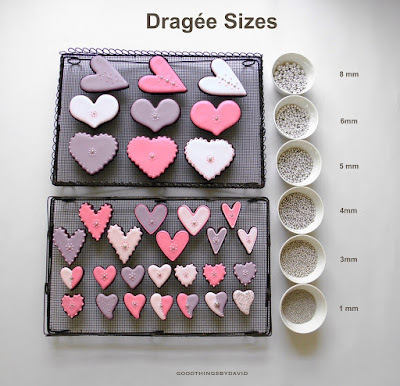 All dragees are categorized by diameter, ranging in size from 1 mm to 8 mm. 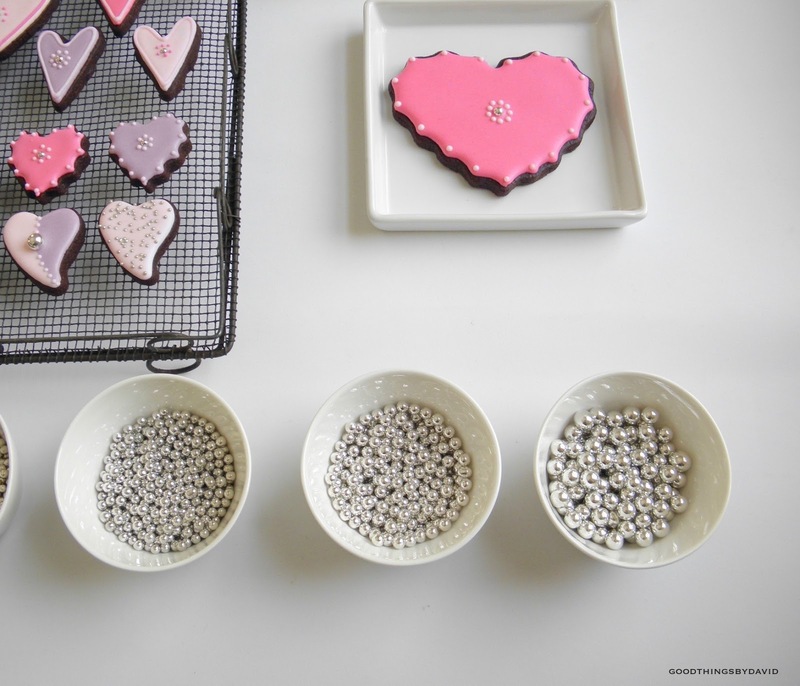 How you use these is entirely up to you, but most pastry chefs, bakers, and cookie & cake decorators, will add them to cookies, cakes, cupcakes and even tarts. You can see from my photo how the sizes differ. 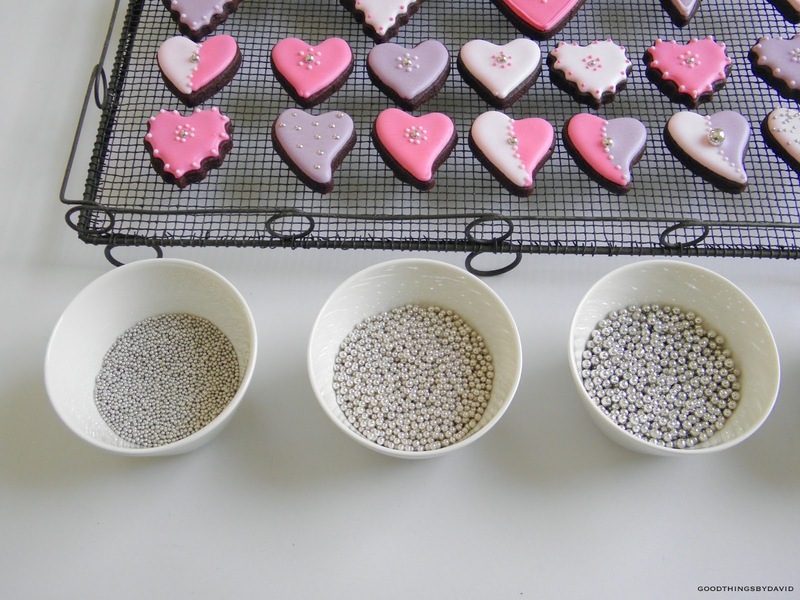 The 1 millimeter dragées are minuscule and great for sprinkling or dredging an area, while the largest dragée is perfect for adding just the right amount of sparkle to a celebratory cake. 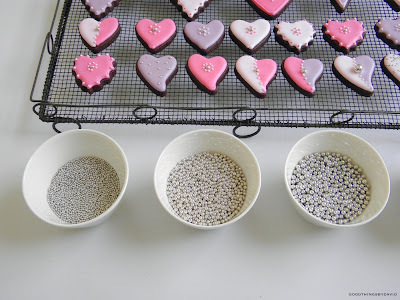 Depending on your source for silver dragées (they come packaged in small jars or even large plastic tubs), it's a good idea to decant them into small bowls, so that you can easily apply them with tweezers while decorating. I can't stress enough how important it is to have a set of tweezers dedicated exclusively for cookie and cake decorating. You'd be hard pressed to be exacting without a pair. This tasty birthday cake was decorated with dragées which varied in size and color. Using a pair of tweezers, I applied gold and silver 4 millimeter dragées throughout the top, and then carefully sprinkled 1 millimeter silver ones to fill in the gaps. People loved this cake! For one of my milestone birthdays, I made a white layer cake with Swiss meringue buttercream icing and dubbed it My Favorite Birthday Cake. Silver dragées were applied to the centers of these piped stars, along the top and bottom borders. Delicious. 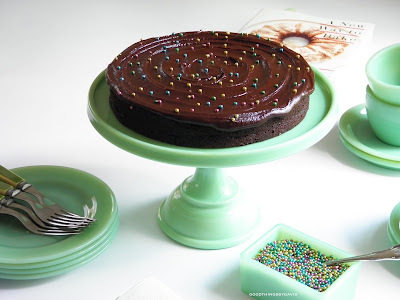 For my aunt's visit recently, Martha's Flourless Chocolate Walnut Torte was given a sprinkling of multi-colored dragées. There wasn't a crumb left after I served it. 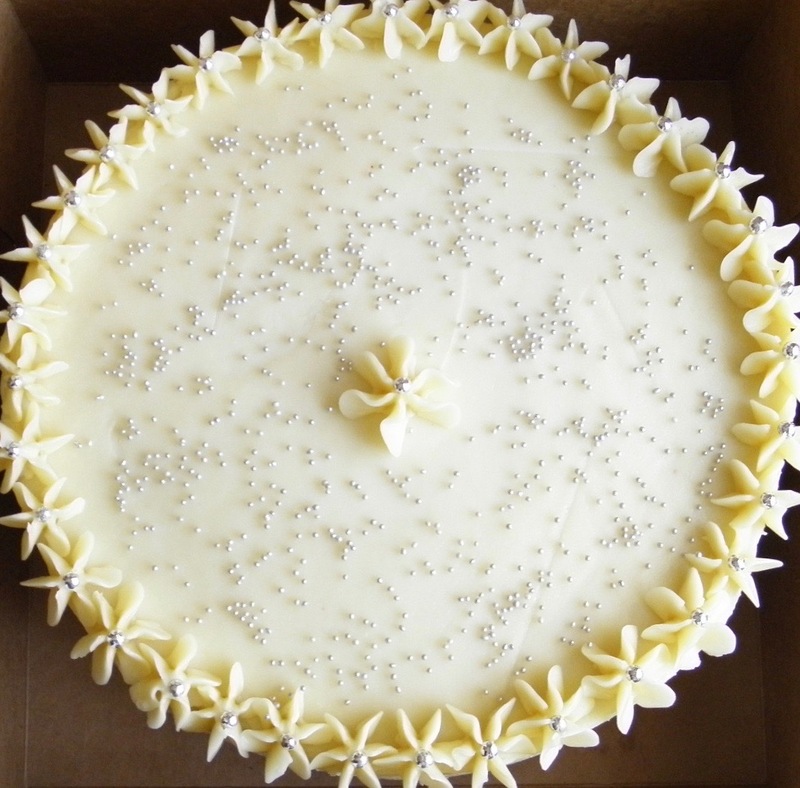 This birthday cake was made in the same fashion as my birthday cake, but was given a slightly different treatment. Over this past Christmas, I made a Winter Snowflake Cake for some friends and used dragées to decorate a large snowflake cookie. 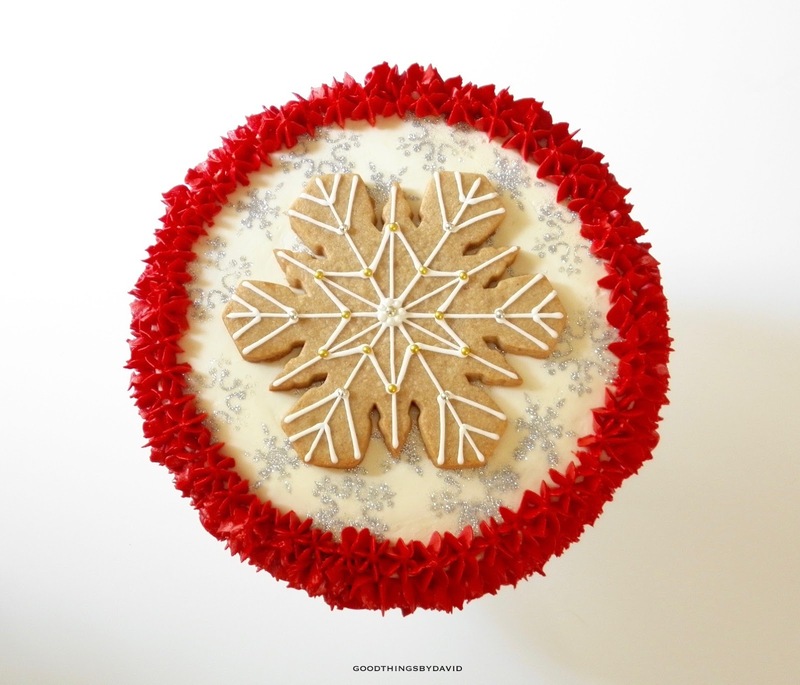 I placed the sugar and spice cookie on top of the cake as decoration. I have to say that it was very tasty. 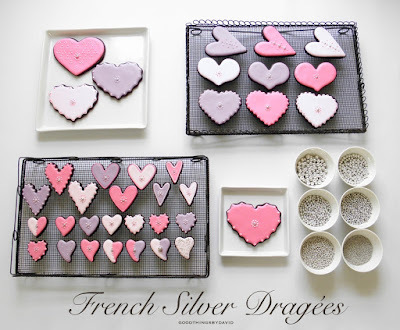 My favorite way to use French silver dragées, by far, is on decorated sugar cookies. 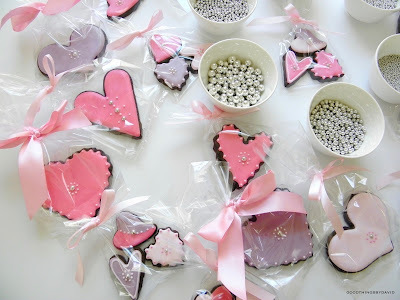 I think that for special occasions it's so nice to turn to these candy embellishments for decorating. 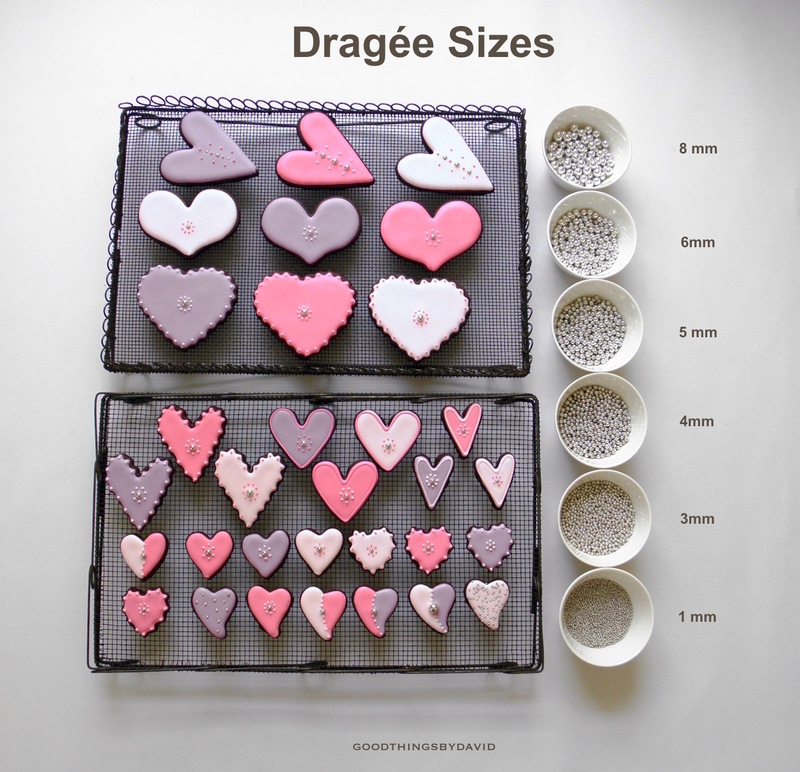 From the smallest cookies to the largest of cookies, a dragée here, a dragée there, can make a big difference in the final product. What I like about decanting my embellishments into small bowls is that the decorating goes much faster. You can make make up your mind about which size you want to use on a cookie right before you apply it. The large 8 millimeter ones are wonderful. 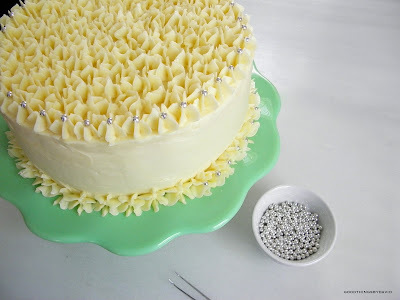 Note: I always prefer to apply silver dragées to icing that is still wet. Set on racks or plates to dry completely, these chocolate heart cookies are just waiting to be packaged up. 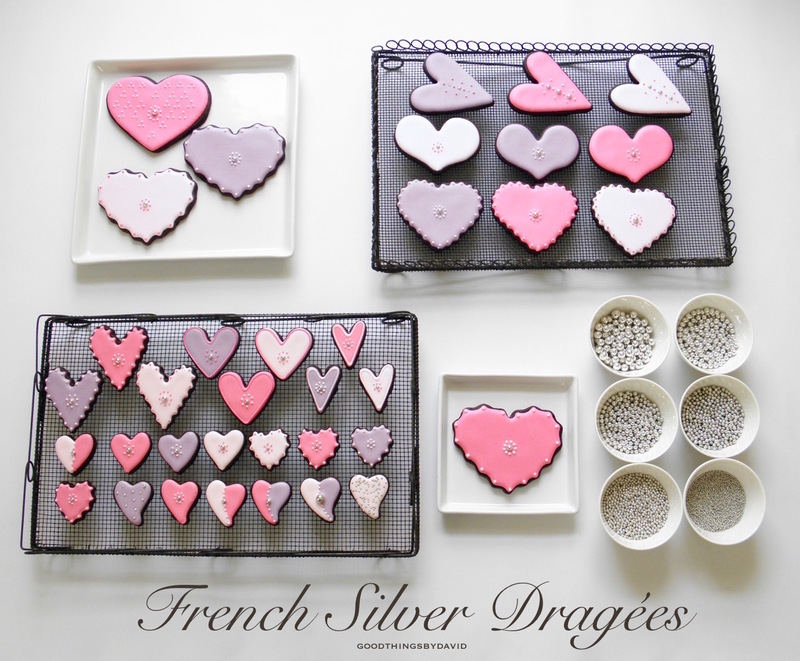 The heart cookies made with French silver dragées that you see here are on their way to my dear niece. I hope she likes them! The next time you find yourself wanting to add some "bling" to a set of cookies or onto a special cake for a loved one, think about using French silver dragées. It's nice to have one size or even several sizes of these little decorative candies in one's baking pantry. You don't have to apply many of them onto a cake or on a cookie for the finished product to look great. 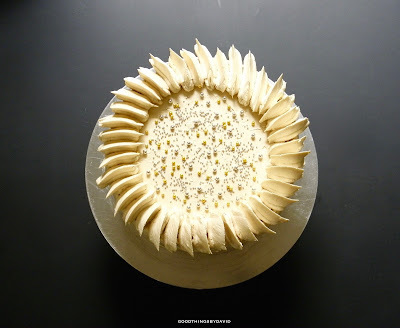 As you can see from my photos, a few dragées carefully placed on centers or borders will make all desserts sparkle. Exquisite. You are so talented David, everything you turn your hand to seems to end up nothing short of perfect. Always a delights to read and look at your creations. You are too kind! I'm humbled by your sentiments, thank you. I hope you have a great weekend! !